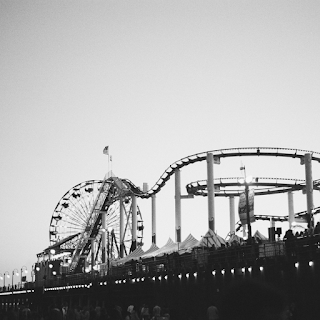 We are all on a roller coaster of life. Some people are in the front enjoying every moment, taking in everything right at the beginning. Sometimes unaware of their surroundings and worries of others. They are the first ones to see what is coming up next, they are the ones who will influence the others behind them, and they are the ones who finish first. Then you have the middle guy, the protected, well thought out ones who make sure there is always just enough room in life to keep them safe. The middle ones may have the advantage of being surrounded but they do not always choose wisely who they surround themselves with. Last but not least, you have the end. The people who either were late for the ride, want to get on faster because everyone who is "brave" is in the front row line or they just like to sit back and have the last laugh. These people get to see things on the bigger scale, they may be the last row but they are able to view the ride completely. They get to observe the other peoples reactions. They get to be the last ones off the ride. 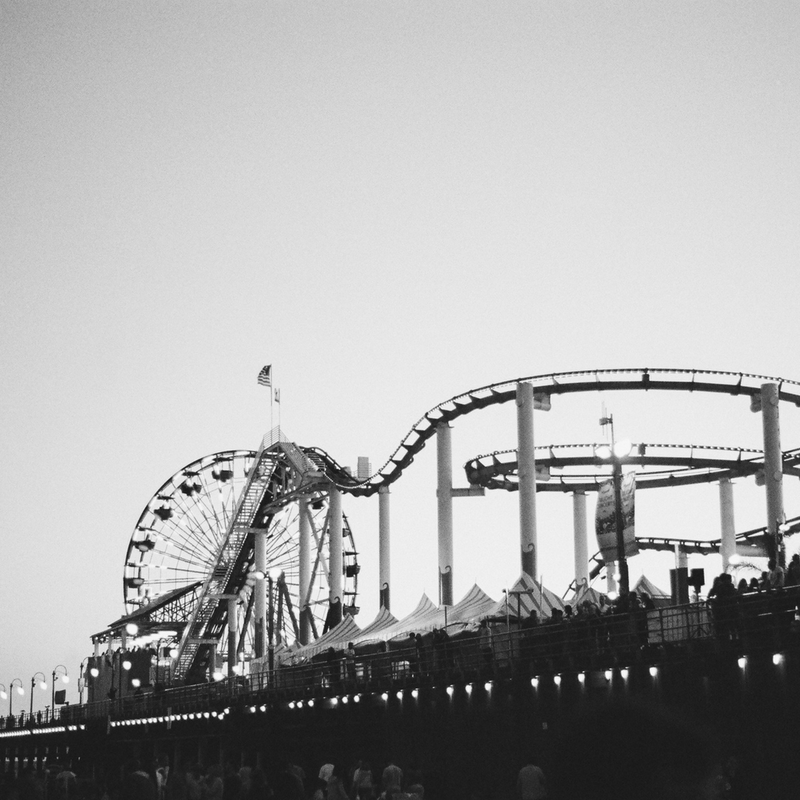 Where do you sit on this roller coaster called life. Do you lead by example? Do you surround yourself with people who are uplifting and encouraging? Do you rely on people more than on God? Do you trust in Jesus and ALL of His promises? Do you care that your words affect others and can either bless them or hurt them? When I was about ten or eleven I went on the biggest, fastest and scariest ride called "Desperado" out in Nevada. This giant rollercoaster was my worst nightmare. After being assured that it would be "fun", I cautiously approached the event that would forever change my life. My brothers sat right next to me in the front row of this massive, insanely fast contraption. I really wanted to back out and just sit on the side lines as my family partook of this crazy act. But no, I joined them. I took a seat. Buckled up and screamed/prayed. The ride started and all I remember hearing was to "keep my eyes open, trust me, its fun". Finally towards the end of the ride I bravely opened my eyes. I stopped screaming for no reason and realized how pretty the view was from the top. Once I set aside the irrational fears of anything bad happening to me, I thoroughly enjoyed the ride. And now I absolutely love roller coasters. The bigger the better. The faster the better. I love the rush of being scared and excited at the same time. I believe that we are called as Christians to keep our eyes on Jesus, to trust Him and live out the example of Jesus as loving others. So often, my seat of choice in life usually is the middle. I like to be surrounded by some would call "cushion", the padding that protects me and allows the rough times to hurt just a little less. Now, I can assure you that this cushion that I've created or rather imagined in my head has been a burden. It really is no fun walking around in life and always afraid of what could happen next. I mean I'm not always fearful just when it comes to radically relying fully on God. I guess this would be considered untrusting of me to walk the life of a believer but be scared. But, there are many people in the bible who were terrified, for legitimate reasons. The ones who concurred that fear, and rose to the calling, all had their eyes on Jesus. A place I so desire to be. Just this past weekend I was able to visit one of my former high school students that is attending bible college. I was so blown away of the absolute wisdom that poured out of her. A sense of pride and blessing filled my heart to the brim of how Jesus loves His children and He has us right where we are needed. She reminded me that although Peter was scared, he chose to walk to Jesus. Peter was for that moment in complete reliance on God, His eyes stayed on Jesus, which kept him above water. I so desire to be in the uncomplicated, undeserved, untarnished, unshakable, unwavering presence of God, that the whole world and all of its issues of sin and death cannot compare to the love of God. It really is all about Perspective. Do you have your eyes on Jesus or are you so involved with yourself that you have started sinking. A practical way to not sink is to be ready in and out of season with the knowledge of scripture. To dwell on His promises and blessings. As I sit here drinking from my "give me Jesus" mug and reading my daily light for October 19th, I am reminded that to truly be filled, to truly be protected and unafraid is to have that desire of Jesus, that HE is enough. fight , we have a victor and His name is Jesus. Can you just take a minute and surrender your day. Can you with a full breathe just take in that today is a new day, filled with grace and mercy. A brand new day that is not promised or deserved. We have been given this gift of life. But I tend to take each day and live it with carried weight of myself. I'm tired. I need to remind myself that this is a new day. Are you ready to start thanking Jesus for this day, for the trials because He is faithful to meet you. Thank Him for the tears and the heartaches because He is in the midst of your pain, He intercedes for us and keeps our tears. Can we start to Thank Him for simply loving us. And can we start living a life that shows we are LOVED by the Creator of the universe. The fact is that no one deserves His love, but at the cost of the cross we can partake in His goodness. I am not perfect, I am not good, I am not lovely or kind, I am not precious, I am not valuable, I am not of any worth, I am a sinner in need of a Savior. Once I realize that and walk cleansed and redeemed, that is when my identity changes. In Jesus, I am perfected, I am good, I am lovely, I am precious and I am valued. This is a daily reliance and view that I cannot attain my salvation, but only receive it. And you have that chance as well. You can choose to walk the rest of this gift of life in pain, sorrow, heartache alone. Or you can walk in peace that passes all understanding, confidence in who He has made you and called you to be, and the assurance that you are LOVED. It's just that simple act of confession and then the act of profession. Confess that you need a Savior, asking for forgiveness and then walking in a way that is pleasing to God. Professing that He is Lord of all. Praying that whoever is reading this would rest in Jesus and desire Him completely. Because you are valued and loved. "For God so loved the world, that He gave His only begotten Son, that whosoever would believe in Him, should not perish but have everlasting life.